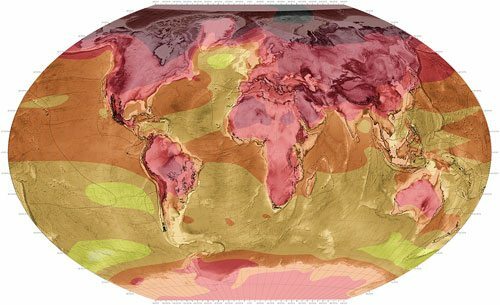 The atlas charts “hotspots,” 422 cities threatening 36 biodiverse areas. “Conflict maps” depict ever-expanding cities like Dongguan, China, which is “on a collision course with their natural landscapes.” Datascapes play out certain conditions to their extreme to show the environmental toll of a population of 10 billion people, the number projected for 2100. Though the title sounds apocalyptic, it hints that the project is an answer to Ortelius’s Theatrum Orbis Terrarum (Theatre of the World), printed in 1570 and thought to be the first modern atlas. This collection of 53 maps summarized 16th century cartography. In a recent Artsy article on the project, Isaac Kaplan described the world in that atlas as “a place in which nature seemed to be an inexhaustible and unknown resource.” The end of the world being referenced is that world depicted by Ortelius at a time considered the beginning of modernity. The city of Montreal has found a way to preserve a slice of its transportation history while adding visual interest and practical spaces to benefit community members.